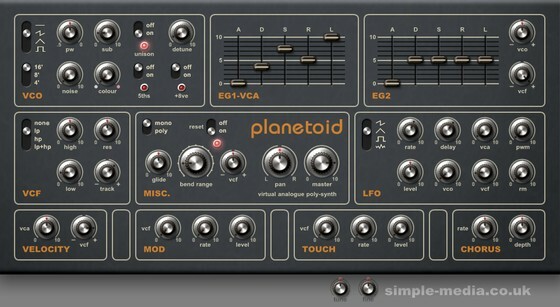 Simple-Media has announced Planetoid and Meteoroid, two virtual analogue synthesizers for Windows. 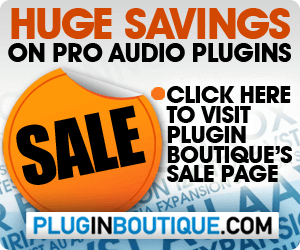 Planetoid virtual analog synth for Windows. 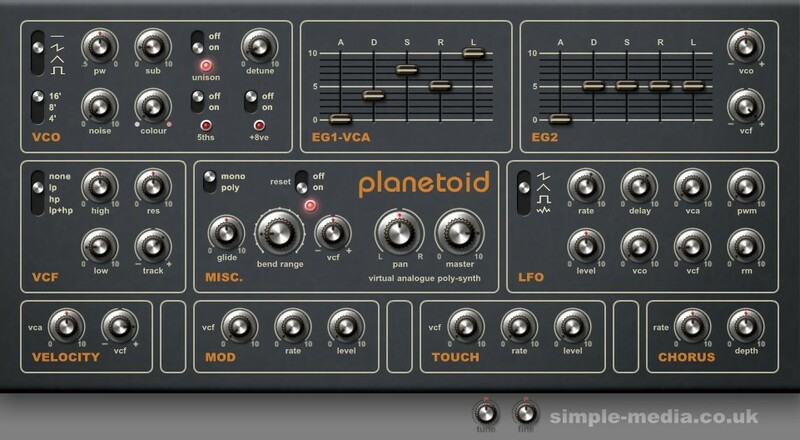 Planetoid is a simple but also very powerful and flexible polyphonic virtual analogue synthesizer capable of producing sounds and effects suitable for virtually any purpose. While it may seem like a very generic instrument Planetoid has a character and power all of its own and offers a great deal of performance control making it stand out from many other instruments. 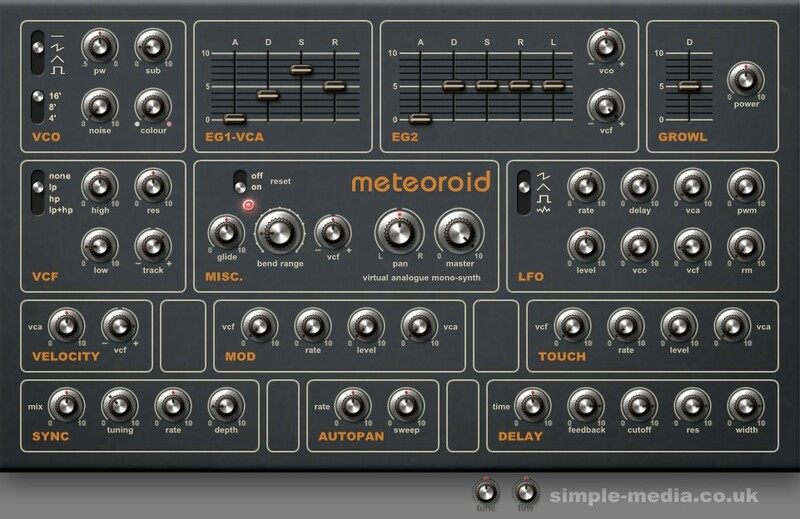 Meteoroid is a monophonic partner to Planetoid which features some differences such as different on-board effects and additional modulation controls. Meteoroid is the perfect companion for Planetoid (and vice-versa) and they are therefore supplied together. 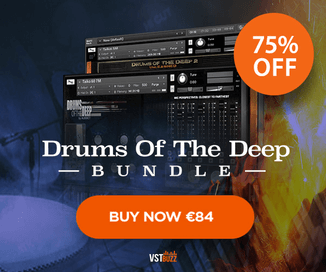 Both Instruments are inspired by the monophonic and early polyphonic synthesizers of the late 1970s and while not recreating specific instruments they are designed to evoke the spirit and the sound of the era. With this in mind both instruments introduce oscillator and other instabilities to simulate effects such as drift and compnent saturation into the overall sound. 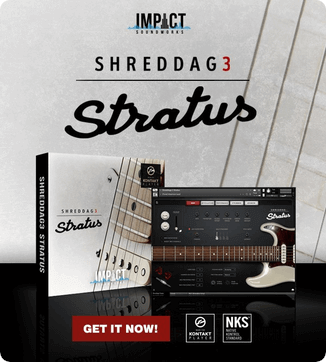 To round off the package it includes a set of five complimentary VST effects comprising a reverb, a chorus, a phaser, a ping-pong delay and a filter bank. Although the effects are simple and designed specifically to enhance the sound of Planetoid and Meteoroid they also make a good set of bread and butter effects to use in all kinds of productions. A user guiode is also included in the full package. Planetoid and Meteoroid are available to purchase in a bundle, priced at £12.50 GBP.